A new robotics field lab opens its doors on the TU Delft Campus: SAM|XL. Manufacturers of lightweight construction can use the collaborative research centre for automating the production of aircraft wings, ships and wind turbines. 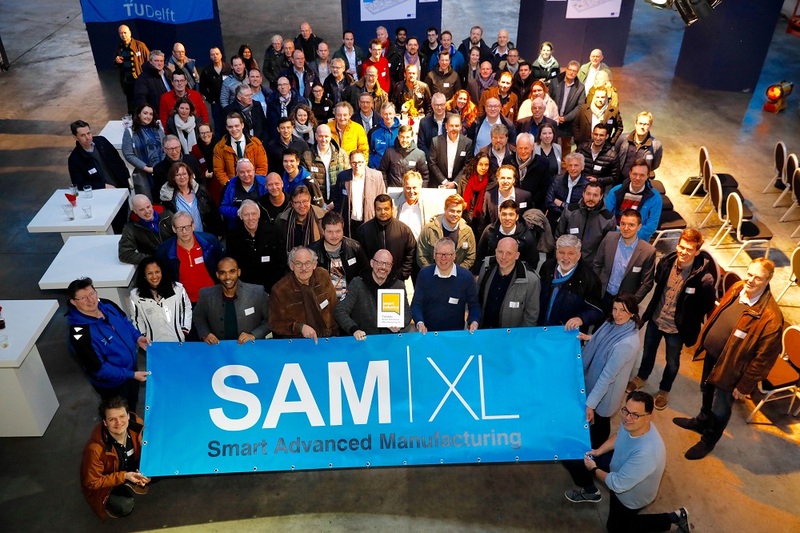 SAM|XL (Smart Advanced Manufacturing XL) was officially labelled a Smart Industry Fieldlab during a festive ceremony in its new building at the Rotterdamseweg on Thursday. “Automating the production process of lightweight constructions has many advantages”, CEO Kjelt van Rijswijk says. “As yet, no one is able to achieve this on a large scale because of the technical challenges. One needs large, advanced, smart robots that can handle thin and floppy materials and constructions. 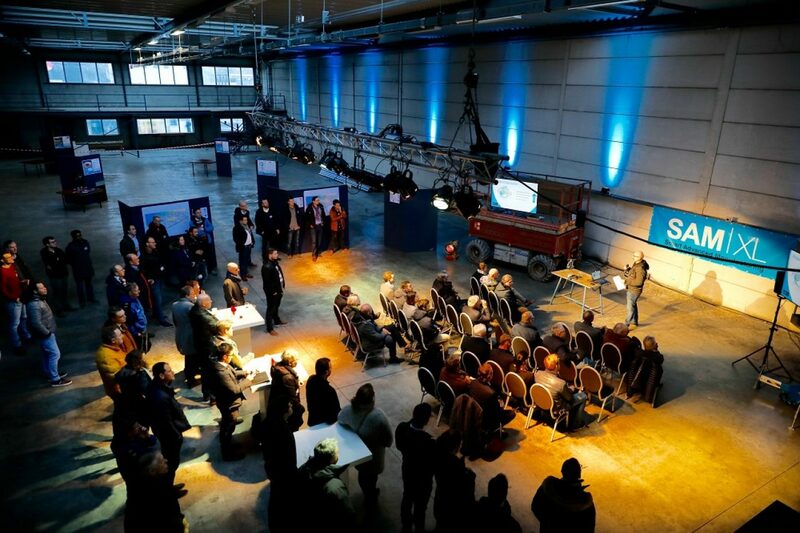 At SAM|XL, manufacturers can join forces with scientists and other partners to develop intelligent systems for this.” Students from Delft University of Technology are actively involved in the new field lab as well. The building at the Rotterdamseweg is still empty. Over the coming months, it will be transformed into an advanced development and test centre. As the name suggests, everything in the new field lab will be extra-large. It will have giant robots for the production of large panels that will be processed into airplane wings or turbine blades. The expectation is that SAM|XL will be operational mid-2019. SAM|XL was set-up by Delft University of Technology, Fokker-GKN and the region. Founding participants are Defence & Space Nederland, KVE, GTM, Airborne and Suzlon. Corporates as well as SMEs can join SAM|XL.